Guru simply means teacher. There are different levels of guru. Sifu means father or teacher and is roughly equivalent to a 4th degree black belt. Sigung means grandfather or master. 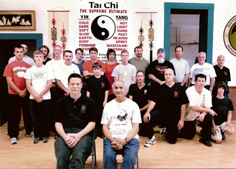 This is the sifu’s sifu and is equivalent to a 6th – 8th degree black belt. Si Tai Gung means great grandfather this is usually the creator or head of a system. Si-Gung Richard Clear has studied in the U.S. China and Canada. He has over 40 years of continuous study in the martial arts, psychology, philosophy, medicine and physiology. Si-Gung Clear is the Creator of a unique program of 1 Touch KnockoutsTM. 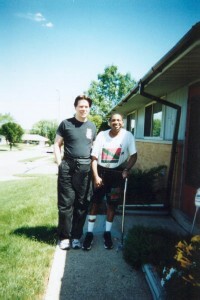 He began teaching martial arts in 1983. 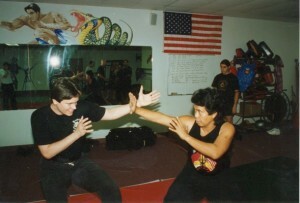 In 1990, he opened his first Pentjak Silat martial arts school in Tampa, Florida. In November 2001 he relocated Clear’s Silat National Headquarters to the Smokey Mountains in Maryville, Tennessee. Si-Gung Clear and his highly successful schools have been featured in Inside Kung Fu magazine, Fox National News, World Net News Daily, as well as other local television and media all over the U.S.
Sigung Richard Clear, Cikgu Sulaiman Sharif, and Cikgu Majid. His training includes over ten styles of Silat and Kung Fu, Systema, as well as intensive knowledge of Tai Chi and Chi Kung. His certifications include a Guru (senior teacher) level in Pentjak Silat, a Master level (Si-Gung) in internal Kung Fu, and an Instructor certification in Systema. Si Gung Clear is professionally sanctioned by KunTao Silat de Thouars, Silat Kilap Betawi DeThouars, Black Tiger Fighting Society, Jackson’s Wu Shu Institute, the International Taiji Boxing Association, and the Jian Mei Internal Arts Association. “…this is a special recognition for the sigungs who got there because they were there to understand me! The longest with me is definitely Sigung Phillep Sailas – 41 years with me. Next in line: Sigung: Randell Goodwin 30 years. Sigung: Chuck Stahman: 25 years with me. 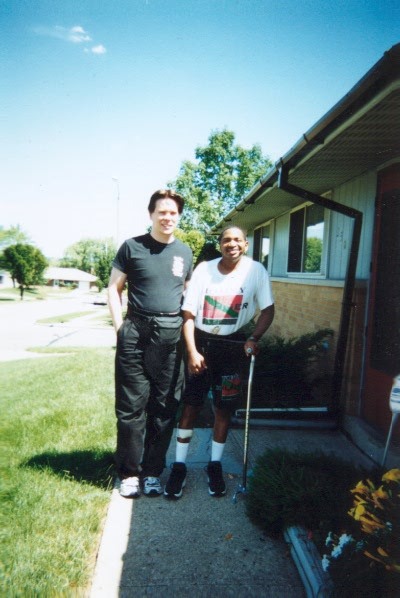 Sigung: Keith Moffet: 25 years with me. Sigung: Dr. Coenrad Bui 20 years with me. Sigung: Westly Tasker: 20 years with me. Sigung: Steward Lauper 20 years with me. Sigung Behati Merchant 22 years with me. 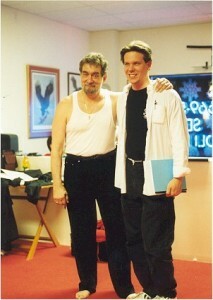 Sigung Richard Clear with Master Guy Savelli of Huc Chung Kuntao. 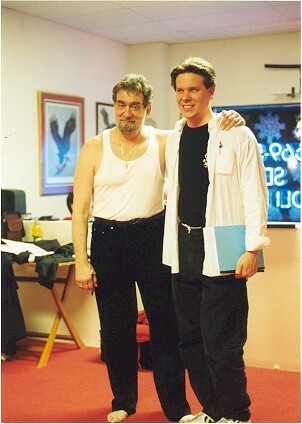 Richard Clear is an Internationally Known Si Gung (Senior Teacher/Master) and Guru Tiga (Senior Teacher). He began his study of the Internal Arts, Kung Fu, Silat and Tibetan Arts in 1976. Si Gung Clear has studied in depth with over 40 senior master teachers. 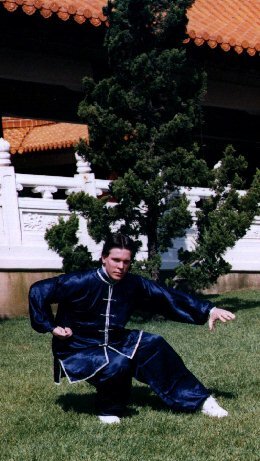 He is the inheritor of a family lineage of Kung Fu including the Internal Arts of Chi Kung, Tai Chi, Hsing-I and PaKua (Ba Gua) as well as Fukien Shaolin Methods including but not limited to such styles as Monkey, Drunken Style, Five Animal Kung Fu (Tiger, Snake, Crane, Leopard and Dragon), Wing Chun, Praying Mantis, Dim Mak/Dim Hsueh and other special hand methods. He is a senior student and lineage holder in Kun Tao Silat under Martial Arts Living Legend Si Tai Gung (Great Grand Master) and Guru Besar Willem de Thouars. 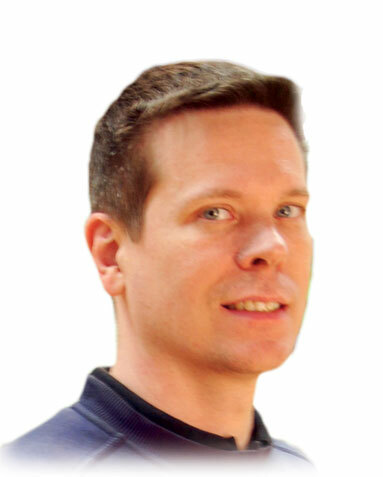 Si Gung Clear is also a qualified instructor in Systema Russian Martial Arts. 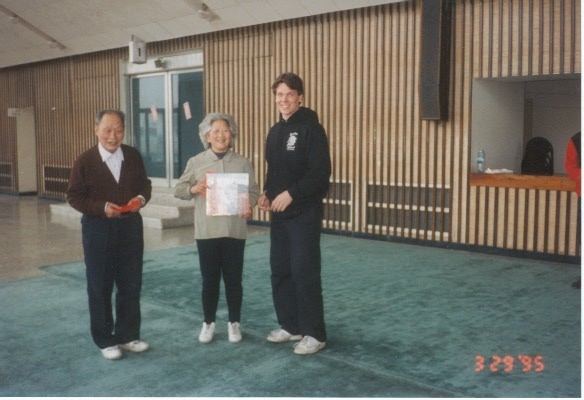 Si Gung Clear has continually studied with various Senior Masters and teachers from all over the world including several of China’s Living Treasure’s (China’s Top 100 Living Martial Arts Teachers). The 2 most famous of these masters was Liu Wan Fu and Ma Yeuh Liang. Liu Wan Fu was the winner of the last full contact death matches held in China during the 1950’s. Born around 1900, Ma Yeuh Liang and his wife Yeuh Wing Hua were already famous in the 1930’s for being the leading exponents of the Wu Chien Chuan Tai Chi style that was created by Wu Ying Hua’s father. The Wu style is famous in China for being one of the best styles for fighting as well as health and internal energy development. Both Ma and his wife lived well into their 90’s. Si Gung Clear was fortunate to have studied with these teachers when he traveled to China in 1994 and 1995. 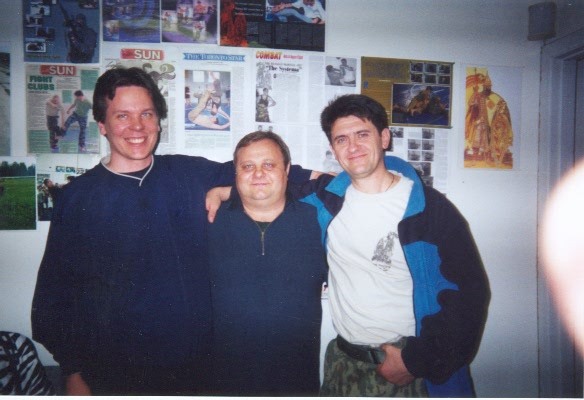 Sigung Clear with Vladimir Vasiliev and Mikhail Ryabko, senior instructors in the martial art of Systema. Si Gung Clear has trained with Senior Masters and heads of various Indonesian, Malaysian and Kun Tao Silat styles in empty hand styles and methods, energy work (including the study of breathing and the science of the mind and spirit), weapons with a specialization in the knife, stick, staff/pole, cloth such as the sarong or shirts or towels and using every day objects as weapons. Si Gung Clear has been recognized as the head of his own system of Pentjak Poekalan KunTao Kilap Kilat Silat based on the characteristics and specialization of Si Gung Clear’s fighting method. 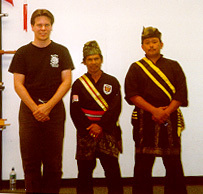 The main Silat styles in the system are Kendang, Tjimande, Tjikalung, Tjipetjut and Serak. After naming the system, Guru Besar Willem de Thouars gave the gift of a personal drawing of a lightening bolt through a palm to symbolize the kind of striking that is particular to this system. Si Gung Clear has been attacked over 15 times in the street as a result of living in bad neighborhoods and being in the wrong place at the wrong time. Generally, attackers were unarmed lone individuals but four of the incidents involved multiple attackers, two were at knife point and two of the attacks were by gun wielding assailants. Si Gung Clear successfully defended himself every time and only had to make physical contact with less than one out of four of his attackers. These incidents form the true basis of Clear’s Self Defense Method. 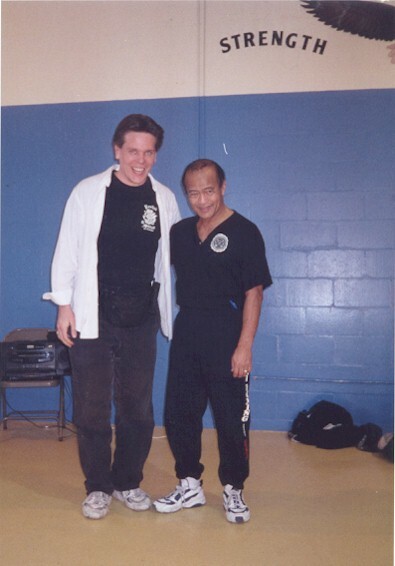 Si Gung Clear began teaching in 1983 and opened his first school, Clear’s Silat of Florida in 1990. The school is still in operation and is doing well. Si Gung Clear has also opened several other Martial Arts Schools. Some of the schools are privately owned and some of the schools are independent. In 1993 Si Gung Clear created a Self Defense program designed to make it easily possible for the average person to physically, morally and in a legally defensible way win a violent street encounter. This highly successful program is called Executive Transformations Beladiri #1. Several hundred people have taken the program in both the U.S. and Canada. Students have ranged from corporate C.E.O.’s, executives and high-ranking military officers to elderly grandparents and young teenagers. Every time a graduate of the course has had to defend himself or herself the course has worked exactly the way it was taught with the most common result being that the attacker was knocked out. When the attacker has not been knocked out the attacker was injured sufficiently so that they could no longer attack and the physical fight was over within 3 seconds. The really interesting part is that out of the over twenty graduates of the course who have been attacked most of them sufficiently deterred the attacker without ever having to make any physical contact. Basically, they never had to touch the attacker. A fortunate side benefit of this amazing program is that it empowers a person so much that most graduates report that the program has changed their lives and that it is a life changing event/experience. Si Gung Clear and his highly successful schools and Martial Art Systems have been featured on Fox National News and in Millionaire Magazine, Inside Kung Fu Magazine, The St. Pete Times, Florida Sports Magazine, as well as other local Tampa, Florida television and media. Si Gung Clear is professionally sanctioned by KunTao Silat de Thouars, Silat Kilap Betawi DeThouars, Black Tiger Fighting Society, Jackson’s Wu Shu Institute, the International Taiji Boxing Association, and the Jian Mei Internal Arts Association. However, the true measure of success has been the thousands of students whose lives have been improved by the study of these arts and the use of the arts for their own defense and the improvement and/or health of their mind and body. Si Gung Clear currently travels nationally and internationally teaching corporate seminars and he privately teaches teachers and private clients at his home near the Tennessee Smoky Mountains. Public classes are also offered at the Tennessee facility. Special Forces Personnel many who were stationed at SOCOM and an Air Force pilot for Air Force 2. Over 100 different 1st to 6th degree black belts and Sifus in every major style of martial arts that is widely taught in the U.S. today. Tom Gamboa 3rd Base Coach for Kansas City Royals who was attacked During a live game on National Television. Government Officials (Congressmen etc.) -Various local and state level.